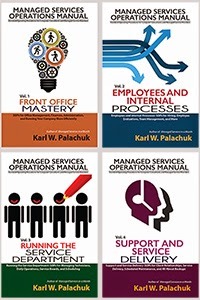 Small Biz Thoughts by Karl W. Palachuk: SOP Friday: Assign Techs or Rotate Them? Hello Karl, been really enjoying all of your material. Do you have any thoughts on how to successfully have a hybrid of dedicated and rotating? I want to have dedicated for all of the advantages but also fear the disadvantages that you discuss. My first thought is to have dedicated technicians perform all MSP work two months per quarter and then month 3 have the technicians rotate and perform all MSP work for that month, to ensure SOP is being followed. Maybe do this quarterly rotation at first and then do bi-annually? The only real problem in creating a hybrid (some assigned/some rotating) is to figure out WHY you want to do that. 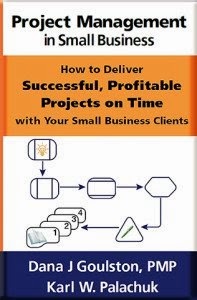 If you assign techs to your largest clients, pickiest clients, or more profitable projects, that makes sense. You can defend that to both employees and clients. On the tech side, maybe you only assign clients to techs whose compensation is tied to client renewals. So, if they try to steal a client, it actually costs them money. Of course there are other ways to prevent clients from stealing your employees (or visa versa). And those techniques are found in the service agreements signed by clients.